September 11, 2018 3:46 pm. Trainer Ben Smith has been suspended on charges relating to his evidence to stewards. 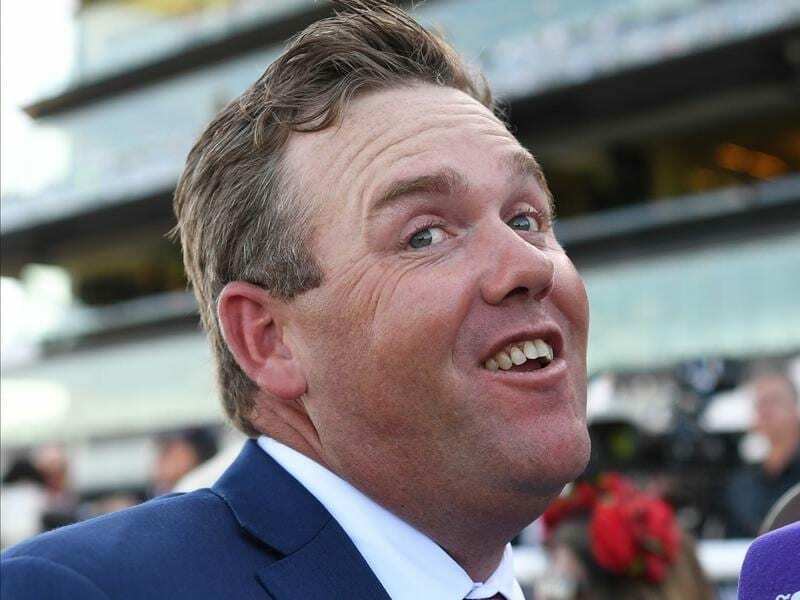 Newcastle trainer Ben Smith’s spring carnival aspirations are in tatters following his suspension for refusing to give evidence and also giving false evidence to Racing NSW stewards in regard to sample irregularities. Smith is best known as the trainer of autumn Group One winners In Her Time, who is an Everest contender, and El Dorado Dreaming. Stewards began an inquiry on Tuesday after finding a number of unlabelled and/or unregistered and/or unidentifiable substances at Smith’s stables, vehicle and residence. The substances have been seized and sent to the Australian Racing Forensic Laboratory for analysis. Smith’s mobile phone and laptop have been confiscated for forensic imaging. The trainer was charged with refusing to give evidence by not providing the name or names of whoever supplied him with the products in question. Smith did not enter a plea to the charge but did plead guilty to giving false evidence on two occasions during Tuesday’s stable inspection. Stewards said given the seriousness of the charges it was appropriate to adjourn the inquiry to enable Smith to seek advice but they said the seriousness of the matters warranted a suspension of his licence. “After considering submissions from Mr Smith in respect to this, the stewards determined that the continued participation of Mr Smith did pose an unacceptable risk to, and prejudice or undermine the image, interests and integrity of the racing industry and that, accordingly, his trainer’s licence should be suspended, pending the hearing and determination of those charges against Mr Smith,” a statement said. The suspension has been deferred until September 18 but Smith is not permitted to nominate, accept or start horses during the seven-day period. ATC Sires’ Produce Stakes winner El Dorado Dreaming had been scheduled to make her return in Saturday’s Group Two Tea Rose Stakes at Randwick.